Want a Clean Break from Bad Habits? 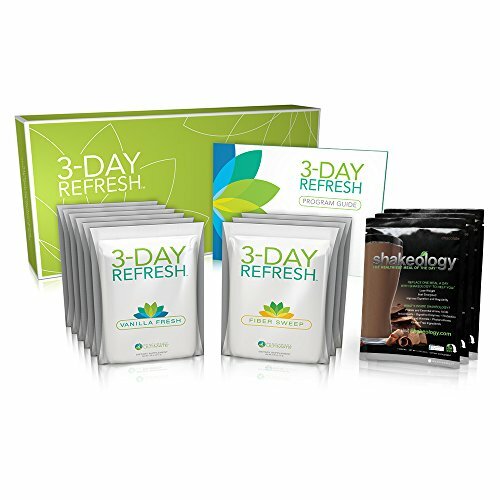 The 3-Day Refresh will get your body back on the fast track to weight loss and new healthy eating habits. If you've ever done a juice fast or an all-liquid cleanse that's high in sugars and low in proteins, you may have found that you felt weak and sluggish. And any weight loss came right back. That's because liquid fasts can tax your organs, and crater your metabolism. The 3-Day Refresh is scientifically designed to do just the opposite. It detoxifies and cleanses, while supporting your metabolism with easy-to-prepare, nutritious whole food to help your vital organs re energize. That's why you feel so good when you do the Refresh, and still lose weight at the same time! Your body functions more efficiently, and it helps burn fat.